Learning to be kinder to myself has not come naturally to me. I have always been very driven and in addition to this I have focused a lot of time on wanting to be liked. Not wanting to disappoint others or myself. And I have typically used the ‘stick method’ rather than the ‘carrot method’. In other words giving myself a hard time if I made a mistake or disappointed someone or didn’t achieve what I set out to achieve. Being very self-critical and if I am honest taking that out into the world too. I used to be very critical and judgmental of others, even if it was just in my head. And this was a direct reflection of how I was with myself. Only in recent times have I learnt the power of self-compassion. Research now tells us that self-compassion is profoundly more effective than self-criticism & self-judgment. It makes us more resilient and more confident, from the inside. It supports us to feel calmer and more connected, to ourselves and to others. As I have begun to practice being kinder to myself I have experienced this profound shift in the relationship I have with myself. And this kindness, this softening, has also changed how I am in the world. I am less irritable and less impatient. I am kinder now with others, not because I want to please them or be liked, I am kinder now from a naturally more easeful and authentic place. 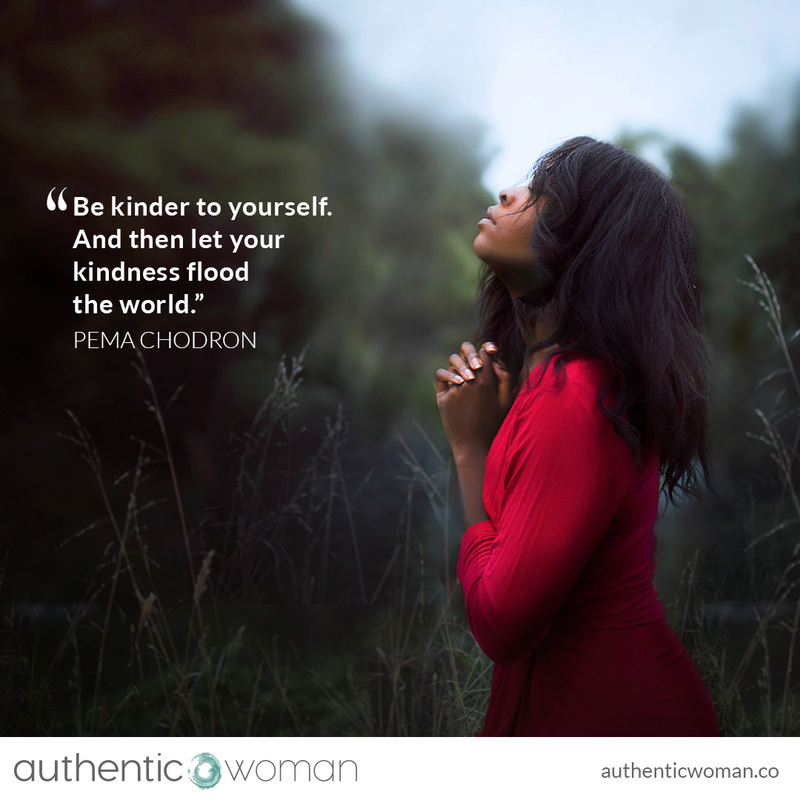 The practice of self-compassion of self-kindness that Pema Chodron speaks of in this quote as changed my life. A gift I will forever feel grateful for. May we all practice being a little kinder to ourselves today. And may this kindness then flood the world in which we live.